2017 has been wonderful! 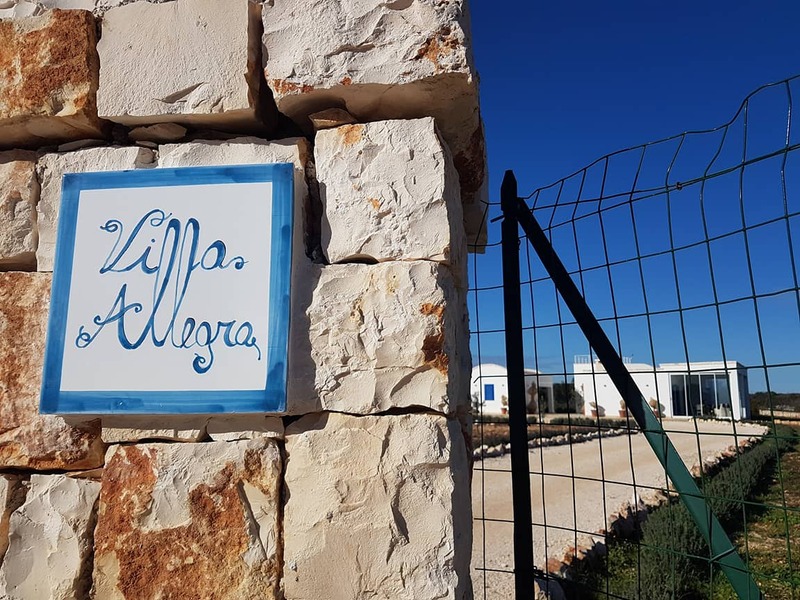 We have now been living in Puglia for more than a year and are beginning to settle down well in our new home, Villa Allegra, high on a breezy hill close to The White City of Ostuni. Tom and I haven’t travelled much in 2017. Last year, 2016, we had enough activity to last us for a while: getting married; building a new home and moving lock, stock and barrel from the Veneto. It was nothing short of hectic; great fun, but challenging. 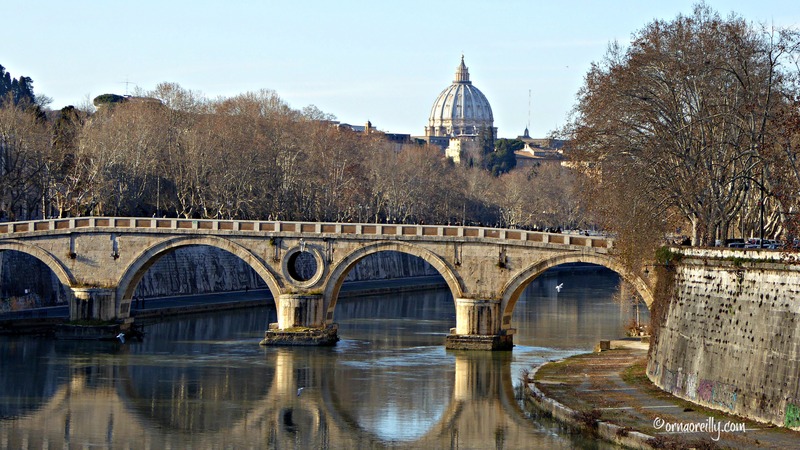 This year, January, saw us flying from Brindisi to Rome for a four day blogging event, titled ‘Winter in Rome’. 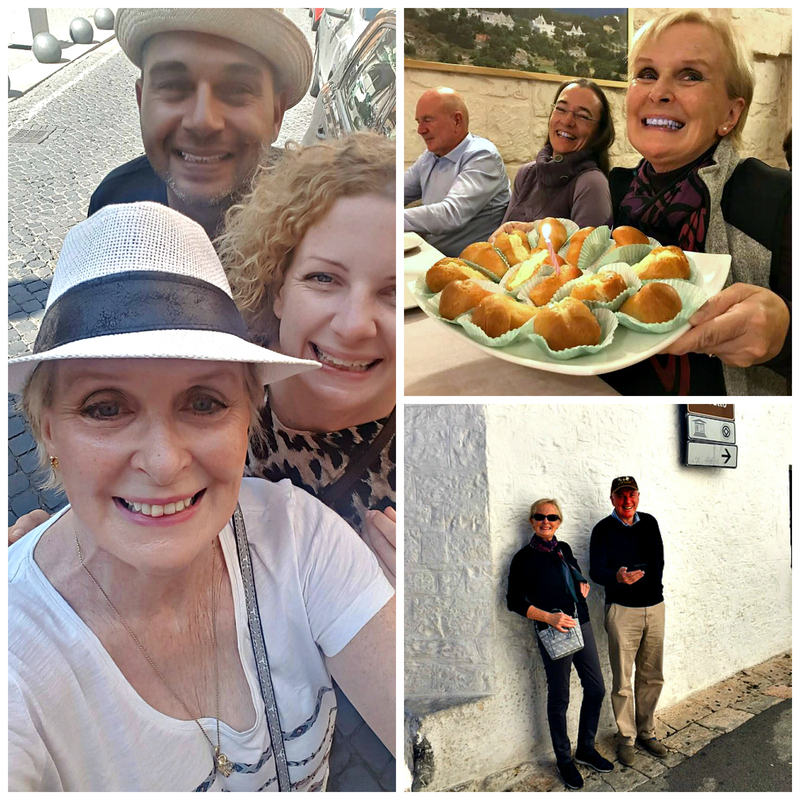 We ate our way around Trastevere, dined with the locals, enjoyed cocktails, examined mosaics and enjoyed a tour of Palazzo Massimo. Then I blogged about it for those of you who would like to know how to spend a winter break in The Eternal City. 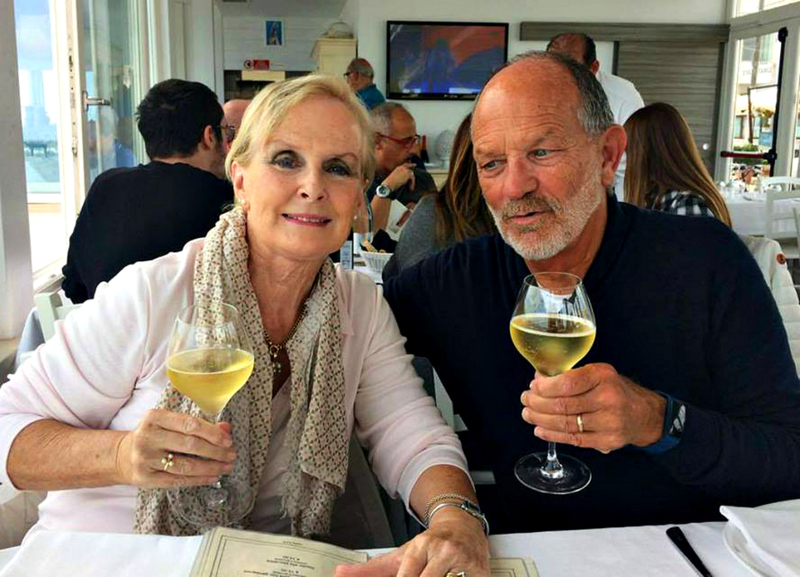 In March, we went to Washington to meet Isabella, Tom’s new granddaughter…..too sweet! In April, we flew to Dublin for my son’s graduation. He received his Master’s Degree in Education from Trinity College and was I proud or what?! Then, in May I went to Rome to wave goodbye to my daughter Kate, who was returning to Australia after three weeks here with us in Ostuni. I spent several months of 2017 writing a romantic novel, set in Venice. 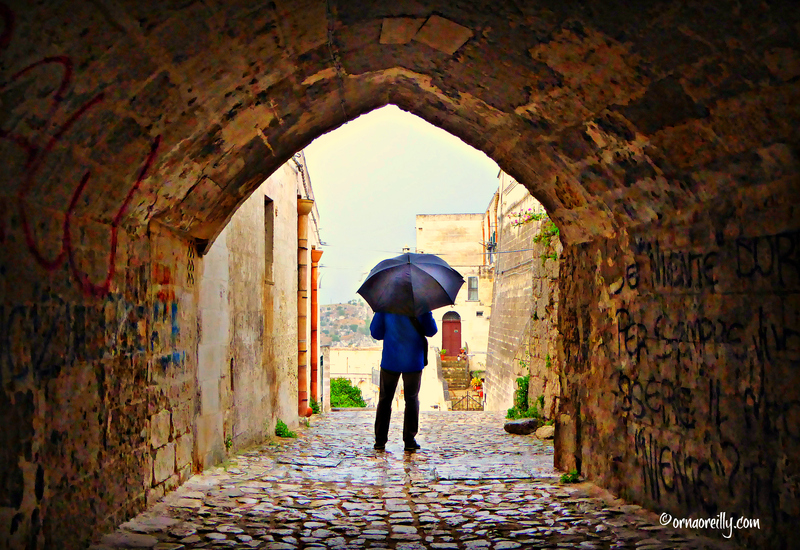 As a result, in September, Tom and I headed to Matera for the Women’s Fiction Festival (WFF). 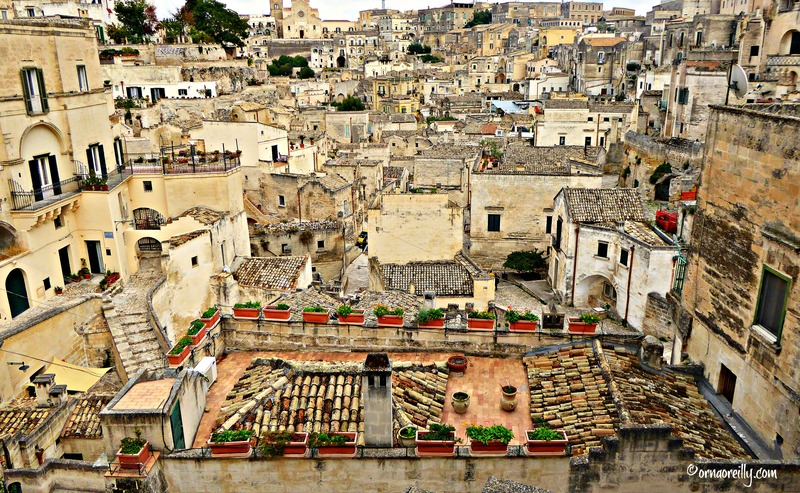 We stayed for four days and found Matera to be a splendid place. I will return as soon as possible, as I really did not have time to do much exploring with the conference taking up most of my time. However, Tom managed to clock up about 20,000 steps each day, faithfully recorded by his ‘Fitbit’! As regards my book: I am currently agent-hunting and will keep you posted. 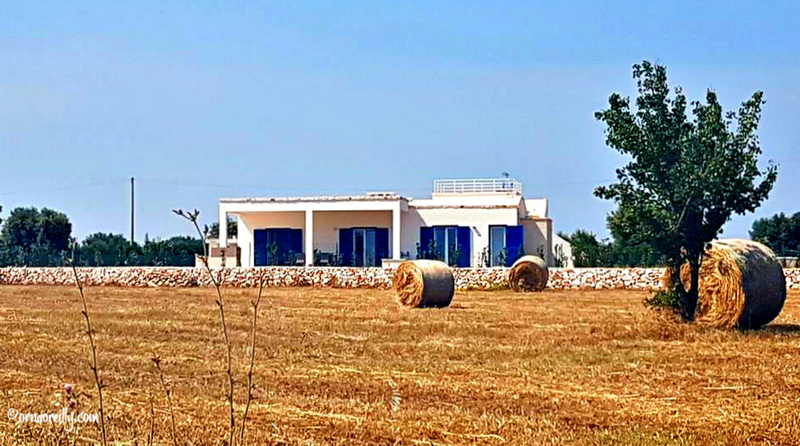 A great deal of our time has been spent entertaining several family members here at Villa Allegra…..
….and making wonderful new friends of all nationalities……..
We have also been walking along the lanes and through the olive groves close to home, watching the changing seasons…..
and along the nearby beaches….. Eating out is something we enjoy and we have been having an interesting time trying out new restaurants and their specialities. I have been cooking a great deal too. Not only do I enjoy cooking Italian food – typically Pugliese – but I also like to keep my hand in by baking Irish brown soda bread and apple crumble. Magnificent sunsets, different every evening, give a stunning display. In other words, our year has been full of family, friends, food and fun. And as for Villa Allegra…..
Our house is finally finished; in January we had snow! 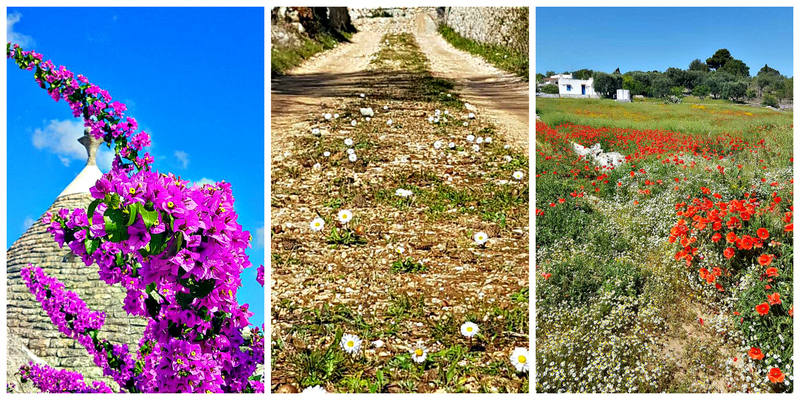 A rare occurrence here in our part of Puglia…. 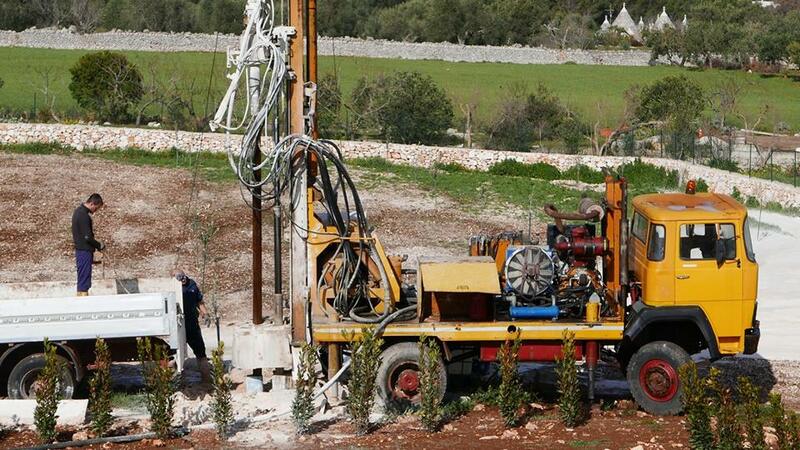 …and in February we had a pozzo (well) dug. In April, we erected a car port…..
We began to enjoy our pool…..continuing on until mid-September…………. ………and we barbecued a great deal too. in September, we had some lawn planted…..
…and in early October, sliding glass panels were installed on our veranda. Prior to the glass, our veranda was only usable from May to September due to the breeze – we are on top of a hill, after all! It has proven to be a great addition to our home. The olive harvest began in November and continues as I type…..
As for our baby olive trees, of which there are eighty four, they miraculously yielded a couple of kilos of olives this November. As there were not nearly enough to take to be pressed for olive oil and we couldn’t bear to see them go to waste, we have them soaking in saline solution and will see how they taste come next March or April. Our olive oil will have to wait for about another two years. Luckily, our friend Roberto (whom Tom has named The Olive Whisperer) came to our assistance, fresh from a trade show in Milan, with some of his fabulous olive oil. 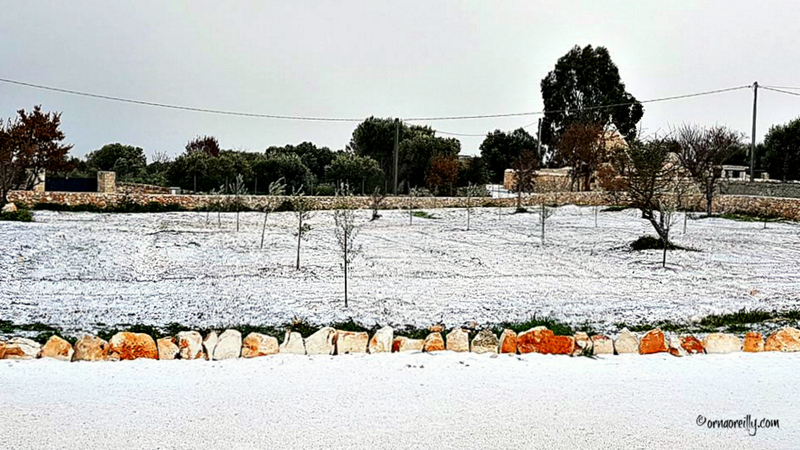 Our olives – not a lot this year! 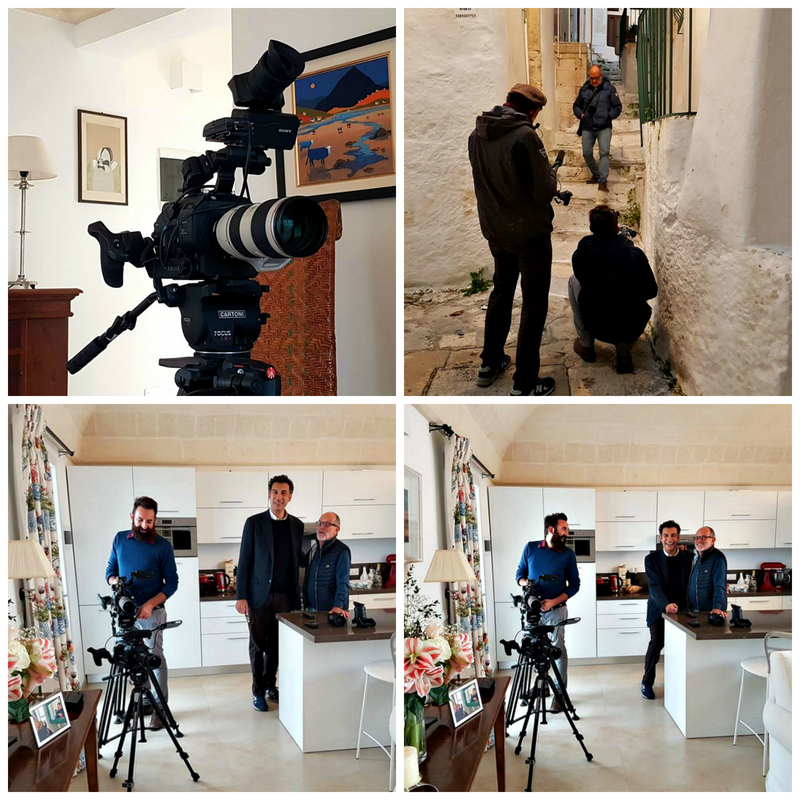 At the beginning of December, the Italian TV channel, RAI3, paid us a visit and carried out a two day interview asking us what it was like to find love and get married in one’s sixties. This was a lot of fun and the series begins on January 8th. 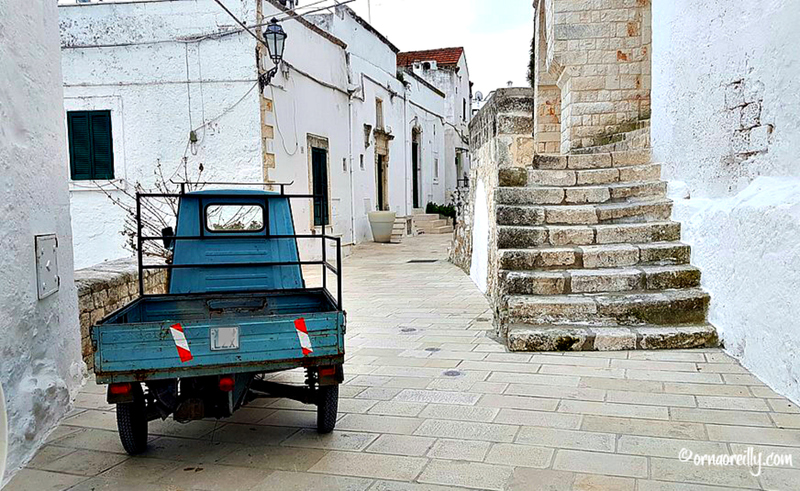 Now, it is almost Christmas and Ostuni in winter is at its best. Happy Christmas and a wonderful New Year to all. Thank you all for supporting my blog throughout 2017 and I hope to see you all again in 2018. PS. Just to say a big Thank You for all your votes. You made me the winner of the Best Travel Blog 2017 for Italy Magazine. Did I miss something???? What is the name of your book???? Absolutely wonderful photos! What a great year. What a wonderful, exhausting year with lots of accomplishments! Loved all of the pictures. A grand and glorious year indeed, Orna. May Christmas be merry and 2018 be your best year yet. All the best with the series, too. Always a pleasure – tons of great smiles, excellent food and gorgeous scenery – all the best in the New Year!